That’s right, chicken is universal because it’s versatile – aaaaand plentiful; nearly every culture uses it as a meal source. So let’s pour a little sauce on this source and get to cooking! 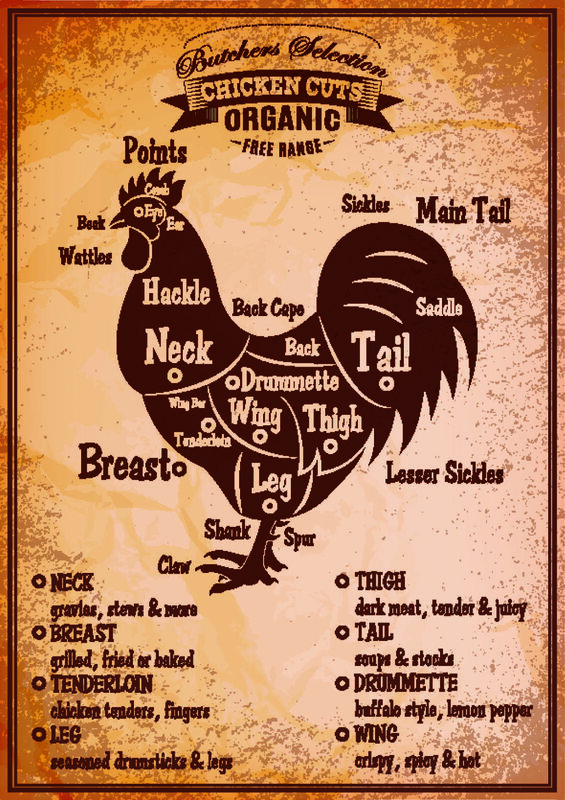 A chicken only has 4 cuts of meat – the Breast, Leg, Wing (defined as drumette & wing) and, Thigh. As such, these cuts are ubiquitous and, along with recipes to accompany them, widely familiar to most people. Although red meat is our passion, we respect “The General’s” place in worldwide cuisine and will include information about its attributes, preferred cooking methods and recipes, and any other information that might be useful – like how to make stock.